The company we know as Dean Foods today was born in America's heartland more than 80 years ago. Over the years they focused their attention on becoming a "best-in-class" consumer products company. 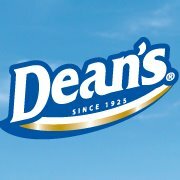 In 2001, the acquisition of Dean Foods by Suiza Foods Corporation of Dallas created a larger, even stronger company, which took the Dean Foods name. The "new" Dean Foods Company is the industry leader, poised for future success. 2. Milk from cows fed a nutritious diet. 3. We reject any milk that contains commonly used antibiotics. 5. Cold shipped within hours. Now I don't know about you but when I buy milk for my own family I am very picky. I do not buy anything with antibiotics or growth hormones in it, it needs to be pure. Dean's milk starts pure and stays pure! Simply put, the purity of Dean’s Milk gives you one less thing to worry about, so you can have peace of mind about the milk you bring home for you and your family! You could win a $100 grocery gift card!